Penalties for drunk driving offenses in New York have become dramatically more severe in recent years, and many count our state’s DWI laws among the nation’s toughest. The Child Passenger Protection Act, or Leandra’s Law, now requires mandatory ignition interlock for all DWI offenders, and it makes a first-offense DWI with a child under 16 in the car a felony. Our state also treats offenses such as driving under suspension extremely seriously. 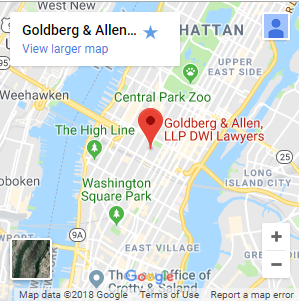 Attorney Gerald Allen is a proven, highly respected DWI defense lawyer, and both attorneys in our New York City firm have experience training prosecutors on indictment and prosecution of unlicensed and suspended drivers. Today, we apply that experience on the defense side in a determined effort to prevent unjust convictions and help New Yorkers avoid the most devastating penalties and consequences. Driving under suspension or revocation is a serious offense on its own. You do not have to cause an accident or commit another crime such as DWI to face jail time and other serious penalties — sometimes including required forfeiture of your vehicle. 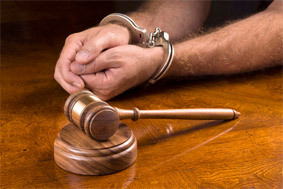 Please do not take chances on your own or with inexperienced counsel if you have been charged with DWI, aggravated unlicensed operation or another serious New York driving crime. To protect your freedom and privileges to the greatest extent possible, contact our New York traffic violation lawyers now. We offer a free initial consultation to discuss legal options and help you make sound decisions.